November, 8th 2017-Numerous studies had been conducted on the effects of work on mental health, especially on work-life balance. This balance is about creating and maintaining supportive and healthy work environment, which will enable employees to have the balance between work and personal responsibilities, and thus strengthen employees loyalty and productivity. As an insurance company that promotes healthy lifestyle and wellbeing, AXA considers this as an important and critical issue. To endorse employees productivity and wellbeing, AXA invited International Wellbeing Center to participate in its partners gathering to promote the importance of creating wellbeing program in the workplace. 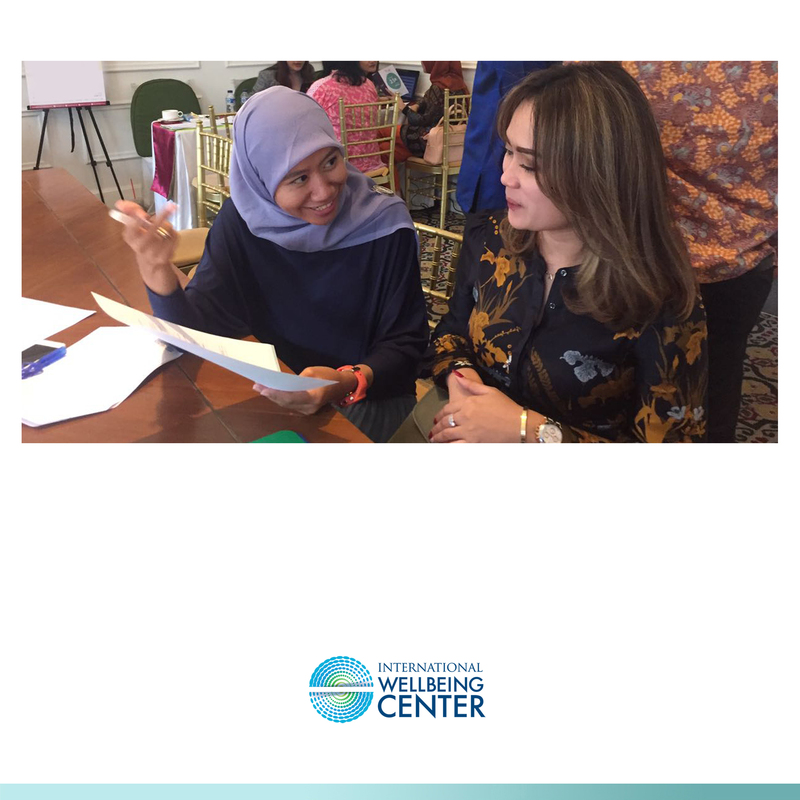 During this event, International Wellbeing Center assigned a psychologist and psychiatrist to talk and discuss with the participants. Professionals from diverse backgrounds got to fill out several assessments such as stress level, job motivation, and job satisfaction to measure their conditions in the workplace. Based on the results, they could have a discussion with our 2 counselors on site. Employers are becoming increasingly aware of the cost implications associated with over-worked and unsatisfied employees, such as high operating and production costs, retention, accident rates, absenteeism, punctuality, commitment and low performance. Long work hours and highly stressful jobs are also increasing health implications. As much as 87% of men and women stated that poor work-life balance affects their health in negative ways, such as stress, headaches, tension, weight gain, depression and increase in smoking and alcohol consumption. Therefore an integrated and holistic solution to support wellbeing in the workplace is needed to help employees handle, cope or reduce stress more effectively by rebalancing work-life. This situation can be achieved by implementing more coaching for personal effectiveness and employee assistance program to ensure robust workplace (mental and physical) and safety.